Focus on your application, save your time & server resources by off-loading the heavy PDF generation tasks to us. ChromeHeadless.io will deliver the beautiful and error-free PDFs for your professional customer's invoice, data reports and more..
We provide Client APIs for your prefered language so regardless you use PHP, NodeJs, .NET or Python, you get result with few lines of code. Running on first-class hardware infrastructure with highly optimized code, ChromeHeadless.io is extremely fast in generating PDF. Stop scratching your head with fonts problem, we will do it for you. We are working hard to make sure your PDF rendered beautifully. All you need to provide the generated token to the client library in your preference programing language then send request to our service. Upon receiving your request and resources, ChromeHeadless.io will render content and deliver results to you in blink of eyes. We don't store any sensitive information in ChromeHeadless.io whatsoever. We use 2Checkout for our payment gateway so we never store your credit card and we store your password in one-way hashing algorithm. We only use your email to contact you about updates to the services, we don't sell or expose it to third party. My generated PDF may contain sensitive information, is it safe? It is totally safe. We use SSL connections to communicate so your data will not exposed to any party. Upon receiving resources from your server, we will generate PDF and send back to you. Those resources will be deleted immediately and the generated PDF is not stored in our server. Can I export from my localhost or within company's intranet? Yes you can, as long as you have internet connection to connect to our service. Different from other services which only work if your server can be accessed from outside. This way is vulnerable since you will expose the page with sensitive information to the world. Not for us, the necessary resources will be compressed at your side by our client library then sent to us through SSL connection. 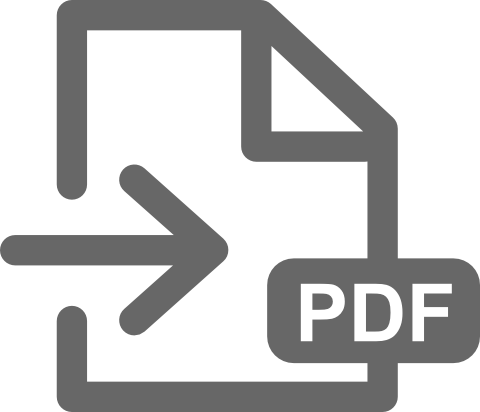 So basically you can use our service to generate PDF within your local machine or within your company's intranet. We provide service in REST APIs so basically you can use any languages. However, for your convenience of usage, we will provide client library for the most used programming languages starting with PHP, NodeJs, .NET, Python and more will come. I can install Headless Chrome on my server, why use your service? Sure, however please consider the cost for your time to maintain, for CPUs and RAM needed to run Chrome as it may take very much resources that you may reserve for other crucial tasks. We run ChromeHeadless.io in large server farms so we will have the "economic of scale" advantage and as a result reducing the cost for you. We run our service on world class hardware infrastructure with automatic-boosting capability. So if the system detects thread of work overload, more servers will be lined up. Just sign-up with us, entering your name and email, we will create your account and send login details to your email. After login, you will be able to create token key for free. Then you install our client library in your prefered language and use token key to access our service. Please read our documentation for more detail of how to use client library. How can I reach you for support? You can reach us at our support email address for any questions, suggestions. We are looking forward to hearing from you. Stop scatching your head with PDF!